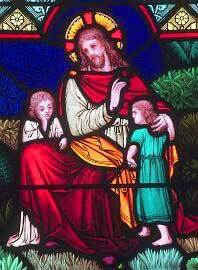 “God made me to know, love, and serve Him in this world in order to be happy with Him in the next.” Thus does the child correctly answer the catechism question of why God made him. In consonance with this basic notion, Catholic education has traditionally meant fashioning the child’s whole personality for the practice of virtue. It thus produced children with consciences, in marked contrast to the troubled and problem children so prevalent today. Modern schools have, for the most part, lost sight of — or utterly ignore — the true finality of education. 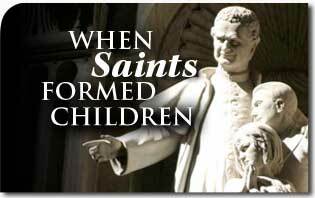 Let us look back, then, to a time when saints formed children, leading them along the path of virtue. 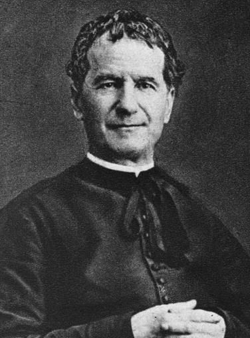 Following are some selected passages from the educational guidelines laid down by Saint John Bosco last century. These forgotten truths are every bit as timely now as then. On love for beauty: “The teacher must also help his charges perfect their sentiments for beauty. This is a natural sentiment, but it must be developed and perfected. All children have a capacity to appreciate the beauties of nature, art, and religion. On intellectual formation: “To cultivate only the intellect, abandoning all the other human faculties, is to deform man. On moral formation: “All, or nearly all, educators see the development of the intellect as their principal responsibility to the child. “However, this displays a lack of prudence, for they do not understand — or else easily lose sight of — human nature and the reciprocal dependency of our faculties. They direct all their efforts to the development of the cognitive faculties and sentiments, which they erroneously and tragically confound with the faculty of love. In so doing, they completely disregard the sovereign faculty, the will, which is the only source of true and pure love, and of which the sensibility is but a type of outward appearance. On religious education: “Education must develop in youth a passion for good and a hatred of evil. The teacher is duty-bound to understand that this is an effect of correspondence or lack of conformity to the will of God. Taken from Biografia y Escritos de San Juan Bosco, B.A.C., Madrid, 1955. This entry was posted in Catholic Perspective and tagged Art, beauty, body, Catholic, children, conscience, education, Family, form, God, guide, guideline, John Bosco, lead, modern, nature, perspective, problem, religion, Saint, School, soul, teach, teacher, TFP, Tradition, truth, virtue, world by TFP.org. Bookmark the permalink.